[These things are interesting. I believe that in ancient prehistoric times (before people wrote down what they did), the ancient humans were alive and very active, especially the WHITES! We’ll return to the topic of White Racial history again. Its critically important. I also have my own thoughts about ancient peoples and how they moved around. NB: Interesting isn’t it how a little bit of DNA can tell them that there was a whole other population, but NOBODY will suggest that RACE is determined by DNA and that whites are special in any way due to their DNA! That topic is of course NOT TO BE DISCUSSED IN PUBLIC OR GIVEN ANY CREDENCE! Genetic analysis of ancient DNA from a 6-week-old infant found at an Interior Alaska archaeological site has revealed a previously unknown population of ancient people in North America. 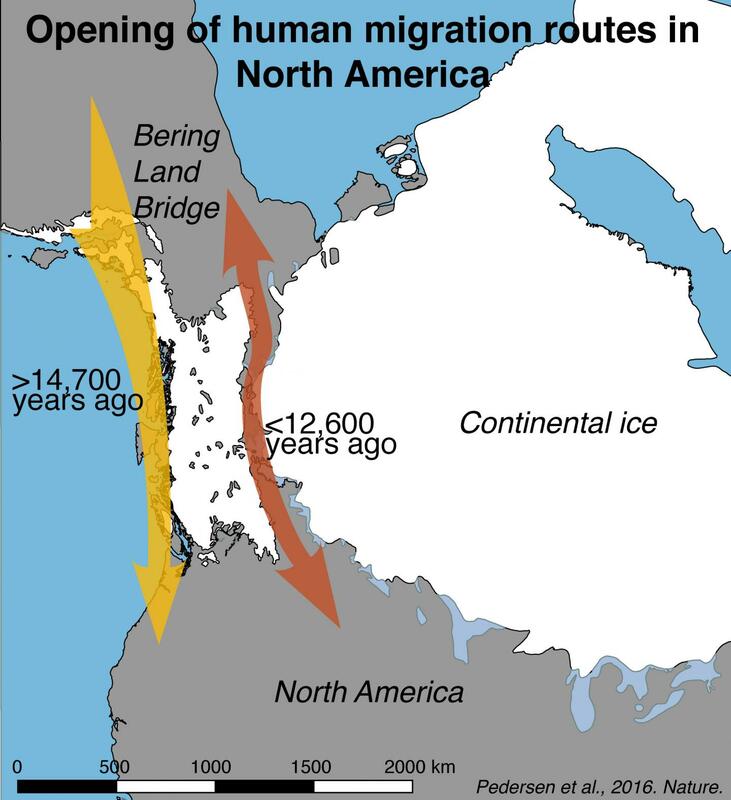 Genetic analysis and demographic modeling, which help scientists draw connections among groups of people over time, indicate that a single founding ancestral Native American group split from East Asians about 35,000 year ago. Then, about 20,000 years ago, that group split into two groups: the Ancient Beringians and the ancestors of all other Native Americans. Lead authors J. Victor Moreno-Mayar, Eske Willerslev and the team at the Centre for GeoGenetics at the University of Copenhagen’s Natural History Museum of Denmark completed the genetics work. The DNA from the infant, named “Xach’itee’aanenh T’eede Gaay” (sunrise girl-child) by the local indigenous community, has provided an unprecedented window into the history of her people, Potter said. She and a younger female infant found at the Upward Sun River site in 2015 lived about 11,500 years ago and were closely related, likely first cousins. The younger infant has been named “Ye?kaanenh T’eede Gaay” (dawn twilight girl-child). Materials provided by University of Alaska Fairbanks. Note: Content may be edited for style and length. No mention of Kennewick Man. (((National Science Foundation))) paying for this “science” so we need a white expert to examine these “results: (really guesses). Did jews do the DNA tests, they have been caught forging anti-white results.